Sometime in 2009, Brendan McKee had enough of the day-to-day slog of working in an office: wearing a shirt and tie, sitting behind a desk, staring into a computer screen, filling out TPS reports. “The office setting wasn’t for me. It wasn’t the people, and it wasn’t the work. It was just something at that point I wasn’t passionate about. … [So] I decided to do something about it,” McKee says. For McKee, that decision meant pursuing something he loved while also serving the community. And so, OfficetoOctagon.com and a 501(c)3 non-profit were born. His quest to leave “the white collar world of securities trading” for a career in Mixed Martial Arts started as a blog documenting his own experiences as he juggled a brutal MMA training regimen with new jobs at various non-profit groups. But as time progressed, he decided to turn his own transformation into an opportunity for others, and in January, he started planning the first-ever Office to Octagon charity event and fight night, which will be held on June 22 at the Revere Hotel. 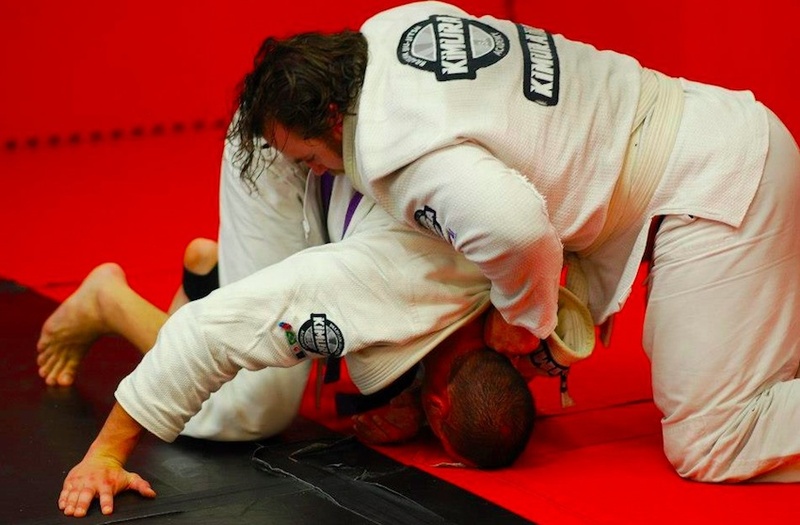 McKee, a Jiu-Jitsu instructor and former football player at Amherst College, formulated a program that takes workers out of the office and puts them into the ring to train them to be mixed martial arts fighters. Since February, he’s been training with a group of 30 office workers on sparring, grappling, boxing, and various mixed martial arts (MMA) at various gyms for four to five days each week, one or two hours at a clip. In June, after just 20 or so weeks of training, the group—with little to no experience fighting inside of a martial arts arena—will go fist-to-fist in a line-up of 10 fights. “… [I]t’s not only about the fight night itself, it is our kickoff event for something much bigger. What we are doing is much more than just fighting. We want to get people outside their comfort zone and we want to inspire people,” says McKee. While he has certainly garnered support from lots of local businesses and training facilities, he says the concept of Office to Octagon is to allocate funds for athletics, nutritional education, and obesity prevention programs for the underprivileged youth of Boston and promote the benefits of physical activity. Competitors each have an expectation of raising $5,000 or donating their time to an organization of their choice if they don’t reach the goal.